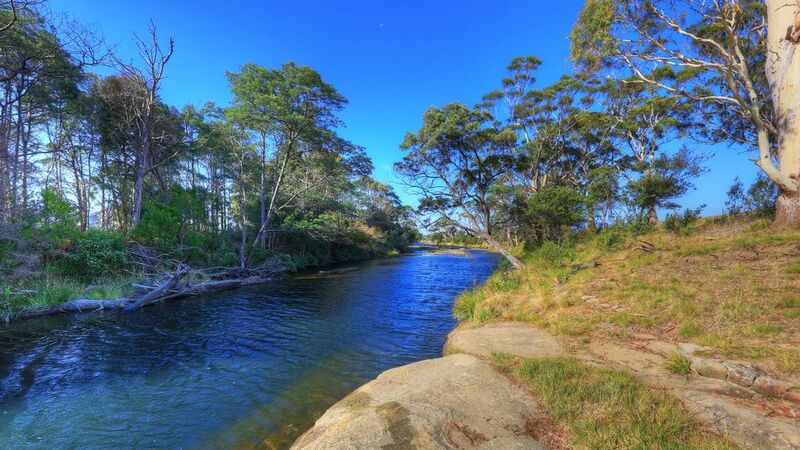 The Douglas River Cabin is located on "The Douglas" sheep and cattle property , a short drive north of Bicheno. The Cabin overlooks the Douglas River and also has views of the ocean and Douglas Apsley National Park. The Cabin offers privacy and a wonderful array of wildlife come out at night. Freycinet National Park is a short drive away and there are many vineyards in the area. Drive to nearby Bicheno for restraunts, shopping, pharmacy, banking, postoffice. Nice place! Remote and off the grid, but very pleasant. Well-equipped accommodation. Really enjoyed the stroll down to the secluded beach. Hi great to have them do hope they will come again. Hope you enjoyed your holiday. Magic surrounds very comfortable accommadation. Friendly and very down to earth and helpful Reception. Neat clean unit with every thing we needed and more . Wild life on our door step ,,fantastic view , close to places of interest. Felt miles from civilisation which is what we wanted but just 12km to nearest restaraunt . Such a beautiful home away from home. Has everything to just rock up and relax. Pet friendly and a great first holiday for my mother, myself and my pup. Very quiet and scenic. Access to the Douglas River campsite and beach. Not far to drive to Bicheno and surrounds. Hi Thank you for your wonderful feed back I look forwards to your return visits. Very nice owner, first time use fire wood heater, first time walk into the farm and so close to new born baby sheep. Thank you for your lovely comments it is a great to have comments it makes one feel that people have pleasurable stay it makes it all worth wile. So Pleased you had the joy of seeing the little lambs that most likely bone a few hours before as we lamb the ewes through the months of October. Every one is welcome to come and stay with us you may experience some thing new it is amazing the amount that people have not seen the heavens with the stars above or see the southern lights or a full moon rise. you are welcome and thank you come again.